George Soros, the legendary investor who made a billion dollars in a single day often spoke about his theory of reflexivity. In short, a trade, investment, or business decision is reflexive when its cause and effect become the same. House prices in the United States rose because people got subprime loans to buy houses. The rising prices led to more people borrowing to buy houses, which made prices rise even further. Until the music stopped. It is a profoundly circular system which, like all circular systems, has to collapse eventually. In the case of China’s overcapacity, this is also true. China invested heavily in infrastructure and production capacity over the last decade, driving commodity prices up. Rising demand and rising prices then prompted mining and commodity companies in China and elsewhere to invest hundreds of billions in new mines and pits to profit from the trend. This further increased commodity prices—mines consume resources too—leading to further expansion projects, thus becoming reflexive in Soros’s sense. Now the circle has reversed and is spinning backward. China all but stopped investing in new infrastructure and production capacity because the projects don’t generate a return anymore. But this is just the demand side. With hundreds of billions of extra supply online, global commodity producers are churning out more production than ever, pushing prices down to levels not seen since the beginning of the new millennium. China is flooding the world with aluminum and steel. 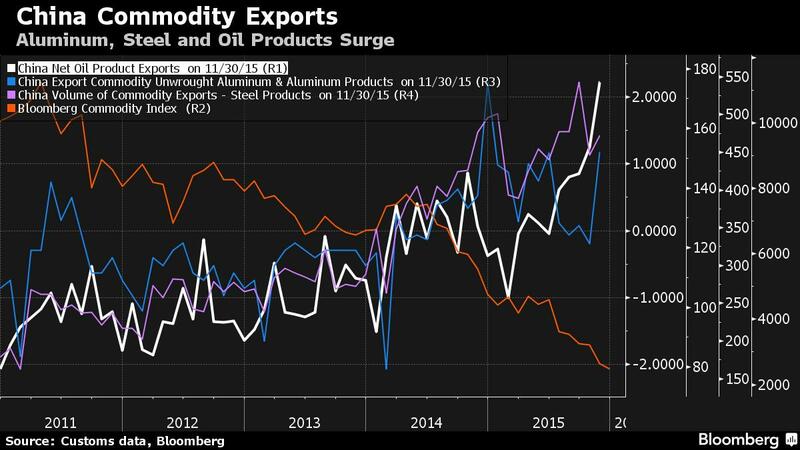 As a result of China’s slowing imports and falling prices, commodity producing countries are either in or teetering on the brink of recession. Global mining companies like Anglo American Plc and Glencore Plc have shifted gears and are laying off people and selling assets. They are facing billions in losses. In China, the problem of too much debt spent on nonperforming projects is much the same. 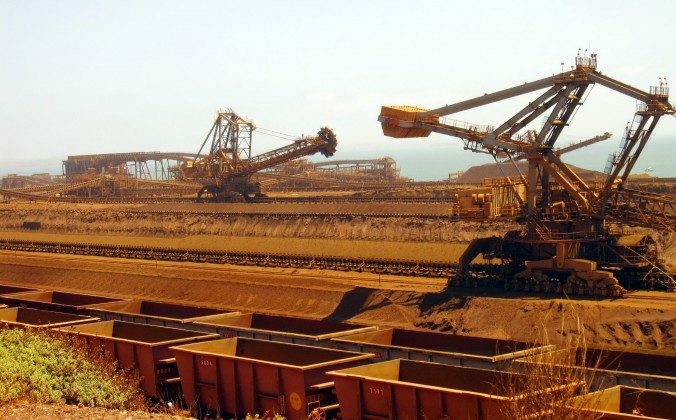 Earlier this year, Australian investment bank Macquarie reported 50 percent of Chinese mining companies cannot even cover the interest expense with their operating profits. So those companies started to borrow more just to pay their interest expense. But it wouldn’t be China if the government didn’t get involved in the process of shaking out bad debts somehow. On Dec. 10, Bloomberg reported that China is setting up a state fund to take on bad debt from the mining sector.